On July 7, 1865 a young man took to the streets of St Petersburg, tracing out a practice murder route. On July 7, 2016 @RodionTweets set out on the same route. @RodionTweets is a creative Twitter project conceived by Brian Armstrong and Katherine Bowers, with technical and editorial support from Kristina McGuirk. @RodionTweets is part of the #CP150 festivities, celebrating the 150th anniversary of the publication of Dostoevsky’s Crime and Punishment. It was synced to a online group read of Crime and Punishment sponsored by the North American Dostoevsky Society and led by Brian Armstrong. Blogposts about creating the project are available on Bloggers Karamazov, the blog of the North American Dostoevsky Society. An index of all the posts related to the project is here. Creating something like @RodionTweets does not happen without a great deal of collaboration. We are grateful to those who have allowed us to use their text and images. 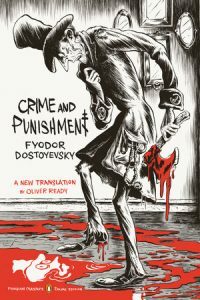 Many thanks to Penguin Books US (@PenguinClassics) and translator Oliver Ready for permission to use the 2015 edition of Dostoevsky’s Crime and Punishment as a source text for the project. Our twitter version is based on this translation. Each part of the novel was “mined” for tweets by a Dostoevsky expert. The team–and their parts–are as follows. 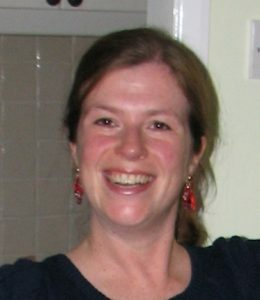 Sarah Hudspith is an Associate Professor in Russian, University of Leeds, UK. She specialises in Russian literature from the 19th to 21st Centuries. She has written on Dostoevsky, Tolstoy, contemporary women writers, narrative, humour, and the city. Her most recent book-length publication is Dostoevsky and the Idea of Russianness (RoutledgeCurzon, 2004). She has guest-edited a special issue of the journal Slavic Review on the theme of ‘Moscow: A Global City?’. 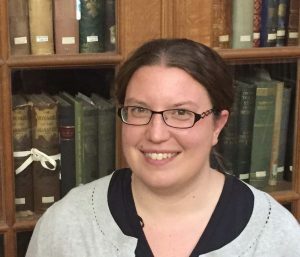 She is co-director with Vlad Strukov of the Leeds Russian Centre, and manages Dostoevsky Now, a public engagement project for exploring Dostoevsky in the world today through events, discussion and online resources. Her blog post about tweeting Part 1 of the novel can be found here. Sarah J. Young is Senior Lecturer (Associate Professor) in Russian at the School of Slavonic and East European Studies, University College London, where she teaches nineteenth- and twentieth-century Russian literature, culture and thought. Her publications on Dostoevsky include a monograph, Dostoevsky’s ‘The Idiot’ and the Ethical Foundations of Narrative (Anthem Press, 2004), and a co-edited collection, Dostoevsky on the Threshold of Other Worlds (Bramcote Press, 2006). She is currently writing a book about Russia’s tradition of carceral literature, and has published articles on nineteenth- and twentieth-century labour camp narratives in journals including Slavic Review, Europe-Asia Studies and Journal of European Studies. She is also exploring the use of digital tools in literary analysis, with a literary cartography project, Mapping St Petersburg, and machine readings of Dostoevsky’s works and the ‘Petersburg text’ more broadly. She blogs about her research at www.sarahjyoung.com. Her blog post about tweeting Part 2 of the novel can be found here. Kate Holland is Associate Professor of Russian Literature in the Department of Slavic Languages and Literatures at the University of Toronto. She is the author of The Novel in the Age of Disintegration: Dostoevsky and the Problem of Genre in the 1870s (Northwestern University Press, 2013) and articles on Dostoevsky, Tolstoy, Saltykov-Shchedrin, Herzen and Veselovsky. She teaches undergraduate and graduate courses on nineteenth-century Russian and European literature at the University of Toronto. 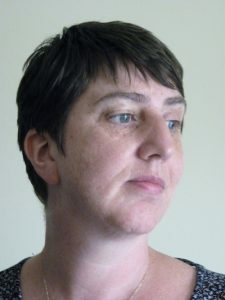 She is co-organizer, with Katherine Bowers, of the SSHRC-funded international outreach project and conference, Crime and Punishment at 150, a founder member of the North American Dostoevsky Society’s Readers’ Advisory Board, and the Culture and Literature Book Review Editor of Canadian Slavonic Papers/Revue canadienne des slavistes. Her blog post on tweeting Part 3 of the novel can be found here. 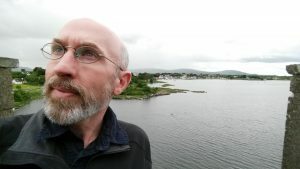 Brian Armstrong is an Assistant Professor of Philosophy at Augusta University in Georgia and the Secretary and Treasurer of The North American Dostoevsky Society. He works on the intersection of philosophy and literature, and his current project focuses on the philosophical implications of Dostoevsky’s fiction. He recently worked with Katia Bowers to create @YakovGolyadkin, a twitter version of Golyakdin who tweeted his experience in the Double and live-tweeted his viewing of Richard Ayoade’s film adaptation; this was part of #TheDoubleEvent. He also teaches a variety of courses, including an Introduction to Philosophy centered on Crime and Punishment and a World Humanities course centered on seven different ways of life established in antiquity and still practiced today. His blog post on tweeting Part 4 of the novel can be found here. Jennifer Wilson is a Postdoctoral Fellow in the Dept. of Slavic Languages and Literatures at the University of Pennsylvania. She received her PhD from Princeton in 2014. While at Penn, she is working on two manuscripts Radical Chastity: Abstinence and the Political Imagination in 19th Century Russian Literature and Writing a Free Society: Abolitionist Literature in Imperial Russia. 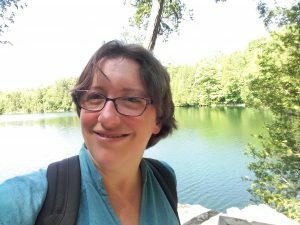 Her work has either appeared or is forthcoming in Slavic and East European Journal (SEEJ), Novoe literaturnoe obozrenie, Tolstoy Studies Journal, and Pushkin Review. 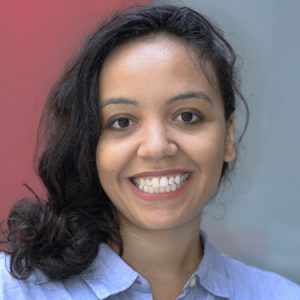 She has also contributed articles on topics related to Russian culture and higher education to The New Yorker, Al-Jazeera America, and the Guardian. Her blog post on tweeting Part 5 of the novel can be found here. Katherine Bowers is an Assistant Professor of Slavic Studies in the Department of Central, Eastern, and Northern European Studies at the University of British Columbia in Vancouver where she teaches Russian and comparative literature and culture. She is currently working on a book about the influence of European gothic fiction on Russian realism. Her work has been published in Slavic Review and The Modern Language Review, among others, and she co-edited the volumes Russian Writers and the Fin de Siècle: the Twilight of Realism (Cambridge University Press, 2015) and Information and Empire: Mechanisms of Communication in Russia, 1600-1850 (Open Book Publishers, 2017). With Kate Holland she co-organizes “Crime and Punishment at 150.” She serves as Web Master and Media Coordinator for the North American Dostoevsky Society and was a founder member of its Readers’ Advisory Board. Her intro to the blog series can be found here, her blog post on tweeting Part 6 of the novel can be found here, and her reflection on the end of the project is here. 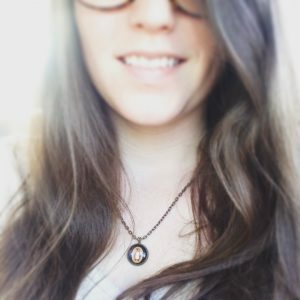 Kristina is the graduate research assistant for “Crime and Punishment at 150,” assisting with social media, editing, and conference planning. Currently pursuing dual Masters degrees in Library Studies and Archival Studies at the University of British Columbia, Kristina previously wrote and edited for Better Homes and Gardens special interest magazines in Des Moines, Iowa. She has her BA in English and BA in Magazine Journalism from Drake University. Her blog post about twitterifying Dostoevsky can be found here. The following images were used in the @RodionTweets Twitter feed; they appear here in the order they were/will be tweeted. We thank Scott Lindberg, Naftali Rakuzin, and Sarah J. Young for giving us permission to use their images.